"Just because I may have different views on abortion than Republicans doesn't mean that they hate all women. Just because I may have different views than Republicans on guns doesn't mean they're all rednecks, and just because Republicans aren't for legalizing marijuana doesn't mean they aren't fun to hangout with. Alright, that one may be true." Stay tuned for clips from Dave's interview with Larry Elder (Conservative radio host) coming today 1/13, tomorrow 1/14, and the full interview Friday 1/15. We've spent a lot of time talking about the left around here, but this week we're diving into the right. My guest is conservative radio host, lawyer and writer Larry Elder. Larry has written several books on conservative principles with a focus on government and racial issues. 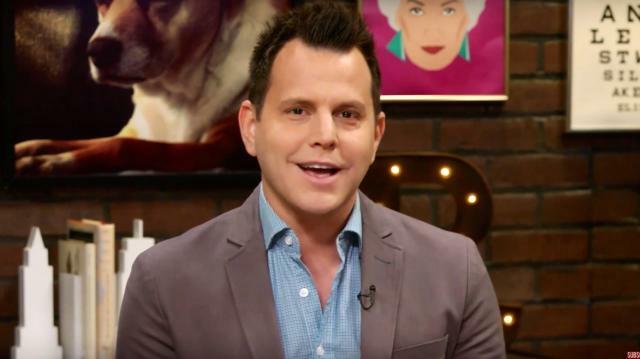 Much of his work is very similar to the ideas we talk about here on The Rubin Report including religion, the role of government, and personal responsibility. According to his biography, Larry uses facts and common sense to arrive at his conclusions. Now, if I use those same precepts as a liberal, can we both be right at the same time? Could we both be wrong? Is the answer somewhere in the middle? That's exactly what we're going to find out. As I talked about with Don Lemon last week, The media talks so much about the left-right divide in this country that it's easy to forget that there are decent people on both sides of the debate. This is one of the reasons I've taken the left to task so much on this show. The further off the deep end they go, the less we'll be able to find compromise with people we disagree with. Just because I may have different views on abortion than Republicans doesn't mean that they hate all women. 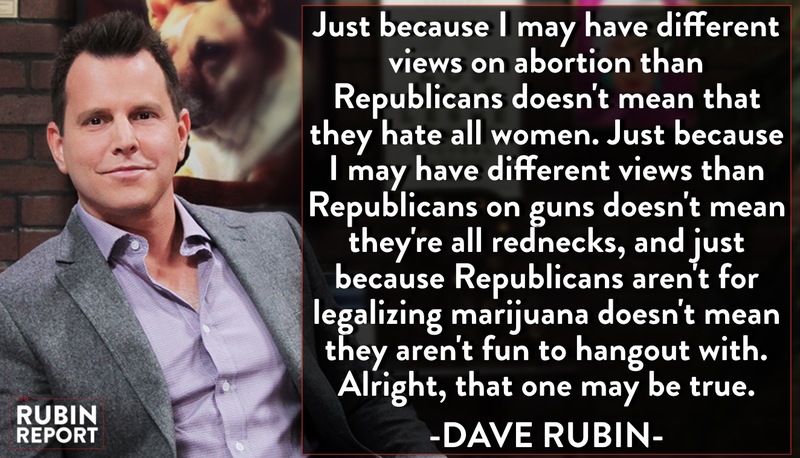 Just because I may have different views than Republicans on guns doesn't mean they're all a bunch of rednecks, and just because Republicans aren't for legalizing marijuana doesn't mean they aren't fun to hangout with. Alright that one may be true, but you see my point. Conservatism is "The holding of conservative principles; the tendency to resist great or sudden change, especially in politics; adherence to traditional values and ideas. Sometimes opposed to liberalism." According to The Concise Oxford Dictionary of Politics, in liberal democracies, the political Right opposes socialism and social democracy. Right-wing parties include conservatives, Christian democrats, classical liberals, nationalists and, on the far Right, racists and fascists. You can see how these two concepts have morphed into the Republican party in America. We have an ideology that doesn't want to change the system too quickly, coupled with a political affiliation that is focused on economics and some level of moral authority. Interestingly, classical liberals are included in that group and more and more I've been considering myself in that category. I'll touch on that more in the next couple weeks. Now that we've laid out some basic terms I think we can have a solid jumping off point to discuss all of the issues of the day. From abortion to economics to foreign policy to guns, can we find out where we agree instead of just yelling over each other? I think we can, but the only way is to be brave enough to talk to those we don't always agree with. If we refuse to talk to those that we don't see eye to eye with, we'll just end up taking an eye for an eye.